First off I want to thank you and CWA for putting me in touch with Pete Johnson. I started an email with you around 4 months ago when I knew I would be in Hartford for a wedding. Pete and I were able to get our schedules to sync up and also went out with Mike McClain. 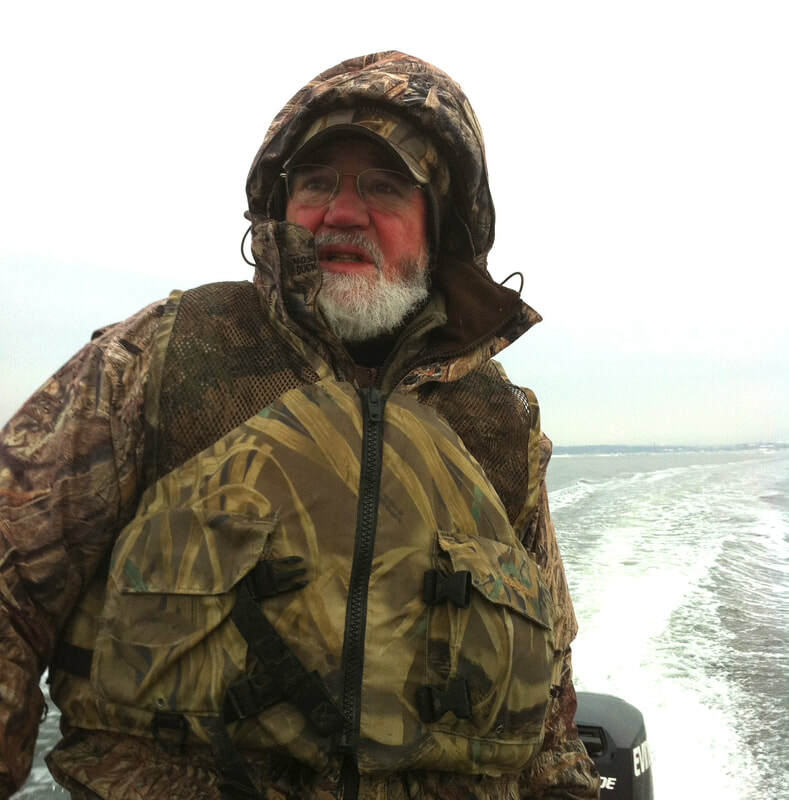 I will say there aren’t too many people more accommodating and all around fun guys to hunt with than those two. 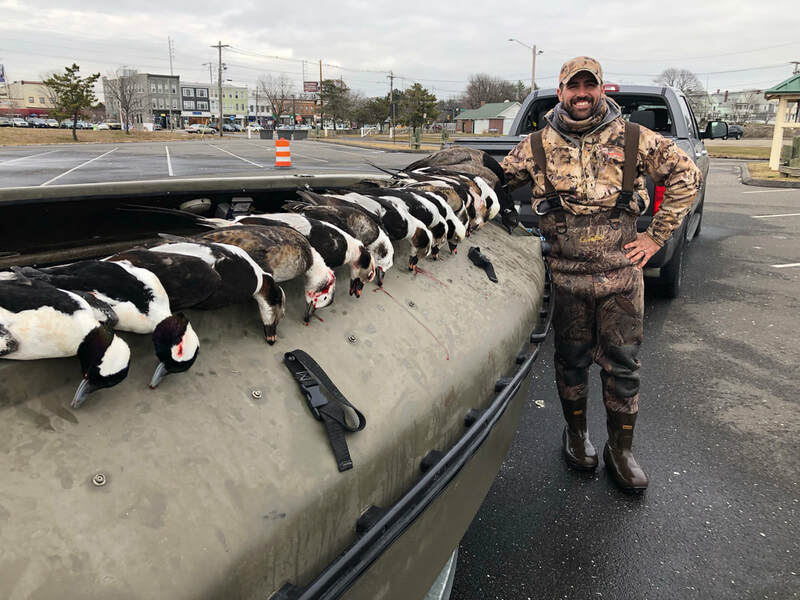 I was able to shoot 3 different species of birds I haven’t had an opportunity to shoot in Bufflehead, Old Squaw, and Brant. Would have been 4 (black ducks) if I hadn’t missed. We ended up shooting a 3-man limit of Old Squaw. 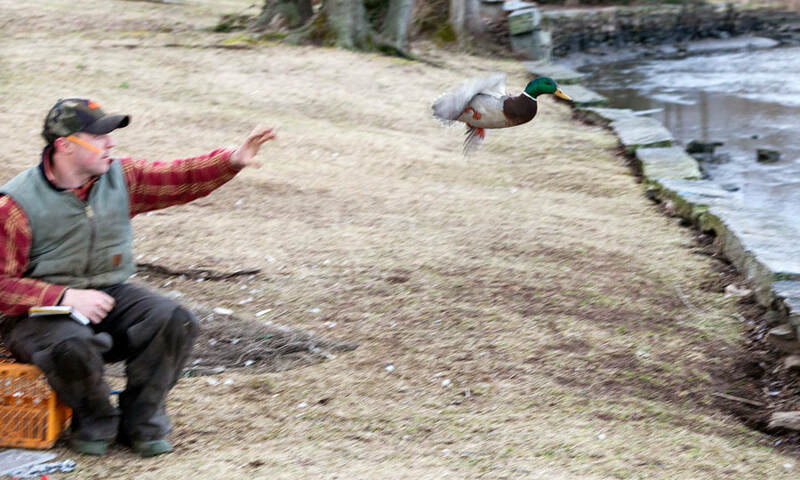 This was literally an opportunity of a lifetime and I really feel that both Pete and Mike really embody what the waterfowl community should be all about. Pete took a day off of work and was able to get the logistics lined up which for this I am extremely grateful. I’m sure I’ll get the chance to return the favor when they come out to Texas. Thank you again and I can’t wait to get these to my taxidermist. ​Just wanted to take a moment to say " Thank You" for an OUTSTANDING dinner event this past Sunday. You and your team did a phenomenal job keeping things on track and running smoothly. As a Life Member of CWA, I am making it my personal mission to grow CWA using the "R3" principles (Recruit, Retain, Reactivate) currently being deployed throughout other shooting sports organizations. 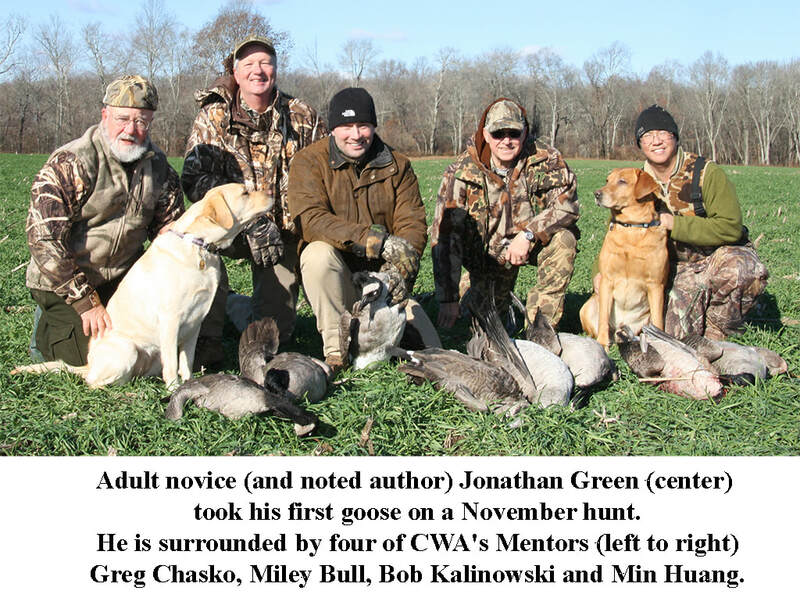 To echo your comments at the dinner Greg, " there is no reason why EVERY waterfowler in Connecticut shouldn't be member of CWA". Well done ladies and gentlemen, well done!! 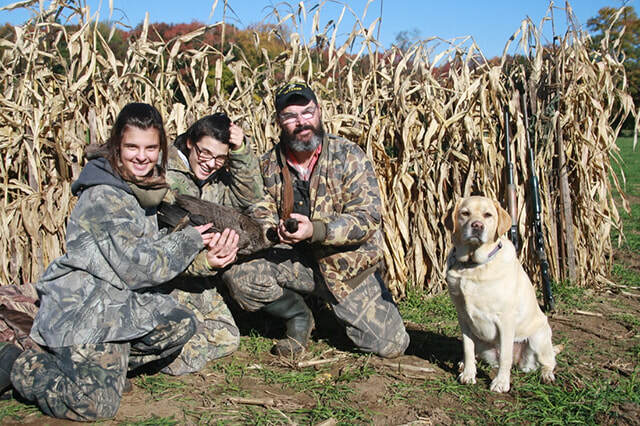 The CWA has worked with the DEEP Wildlife Division to protect and enhance wetlands throughout the state, recruit new hunters into the sport, and supply competent volunteers for our projects. The CWA is truly living up to their mission statement and I look forward to partnering with them for years to come. The following are just a few examples of my experiences working with them over the years. The CWA and the Wildlife Division have cooperatively held an annual wood duck box building day since before my employment here at the DEEP. The Wildlife Division supplies the hardware and pre-cut lumber, while the CWA provides the manpower to assemble the boxes. The majority of the finished boxes are then utilized by the Wildlife Division for installation on DEEP properties. This past year 125 boxes were constructed! This stellar effort from CWA members facilitated the Wildlife Division in replacing and installing over 100 new boxes this winter. 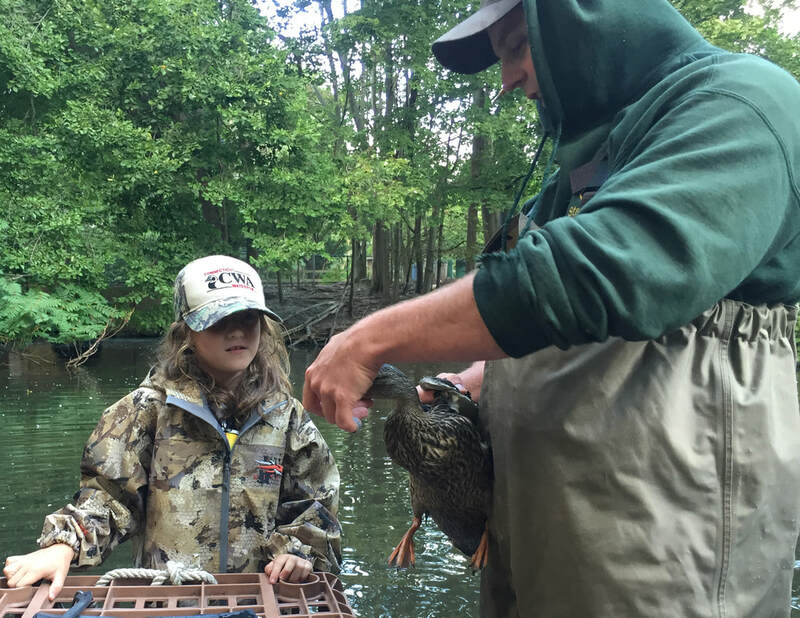 Since the inception of this partnership, CWA members have probably constructed thousands of wood duck boxes that have potentially produced tens of thousands of ducklings. CWA members not only construct boxes, but they install and maintain them too. Rich Chmiel is a great example of one CWA member who does just that. Each year Rich installs, replaces, and collects biological data from boxes in eastern Connecticut. He then supplies the Wildlife Division with this data so it can be included in our yearly box analysis. His dedication and commitment to the program has allowed the Wildlife Division to spend more time maintaining boxes on other properties throughout the state. CWA has also supplied funding for various projects over the years. 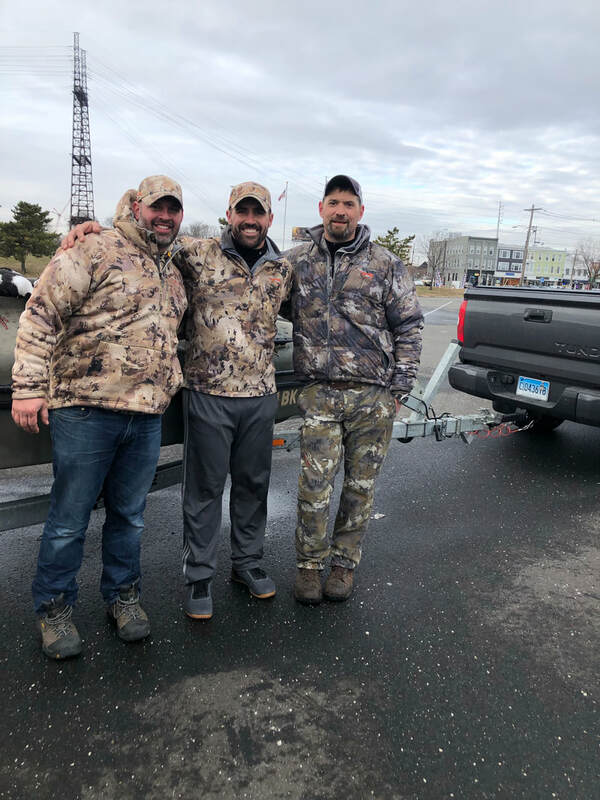 One recent project was the rehabilitation of the handicap accessible waterfowl hunting blind at Babcock Pond Wildlife Management Area. The blind was in need of repair due to both its age and recent issues with vandalism. The Wildlife Division was able to get this blind back in great shape because the CWA generously agreed to supply the materials for its refurbishment.